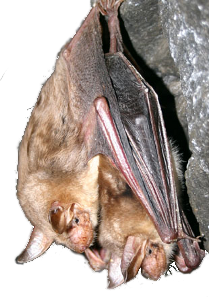 If you need any advice about bats, call +420 737 121 672. The supreme body of ČESON is the general assembly. The board, auditing committee and president are elected and the statutes are approved by the general assembly. The board is a supervisory and strategic body, it consists of eight members. The auditing committee has three members. If you wish to become a ČESON member, please contact ČESON, Katedra Zoologie PřF UK, Viničná 7, 128 00 Praha 2, netopyr@ceson.org. Give your name, address and e-mail address in the application. Your application will be discussed at the nearest plenary meeting of the general assembly of ČESON. You will be informed about the activities of the society and events for members on our web page and by post. The annual membership fee is 300 CZK. Membership can be cancelled at any time upon request. If you do not pay the membership fee for three years, your membership will be suspended. Each member can be provided with a ČESON member card, which may facilitate communication with owners and administrators of buildings or lands used by bats. To be able to make out a member card, we need your photo, personal identification number and address.